Hi everyone! It's Kimberly here with a new and exciting collaboration with Art Gallery Fabrics called AGF Stitched. If you haven't hear the buzz on AGF Stitched, click here. A couple of weeks ago, we filmed an episode for our first AGF Stitched quilt called Birchen, featuring the beautiful Hello, Bear collection. by Bonnie Christine. 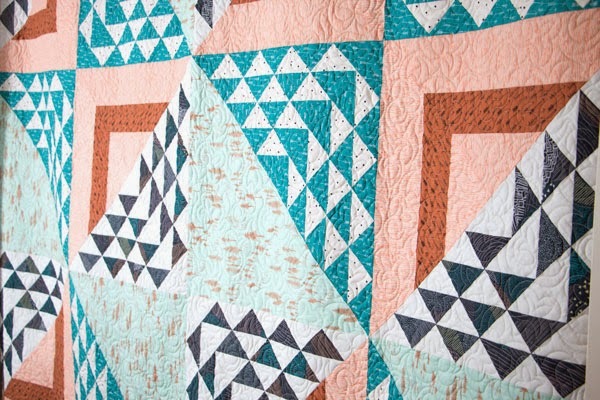 This quilt reflects the playful nature of wilderness in the woodsy prints. 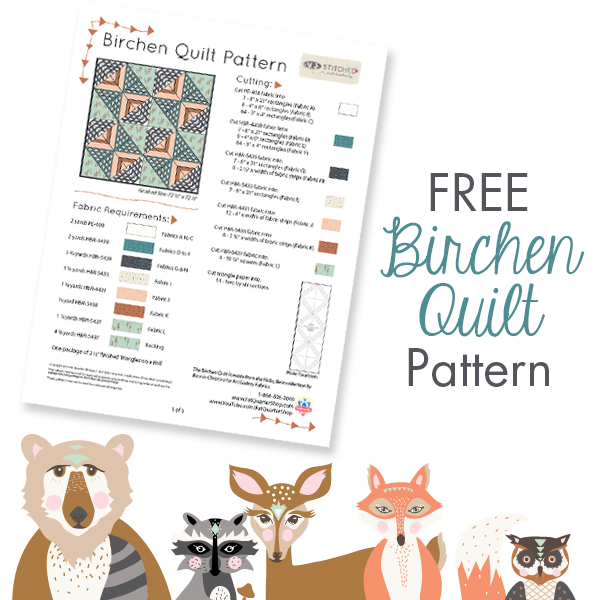 Ready to get started on your Birchen quilt? Then sew along with us! 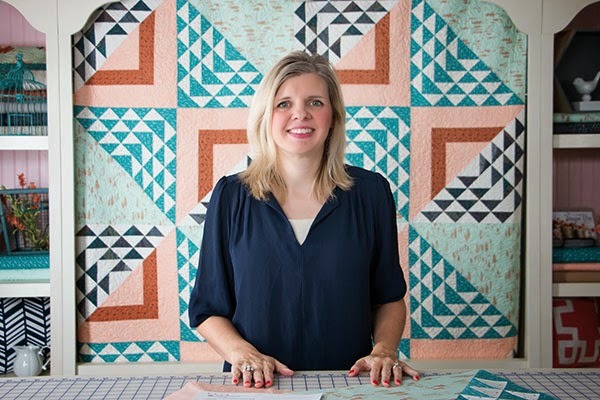 Download the Birchen Quilt pattern and watch Kimberly's video tutorial on how to piece the blocks. It looks tricky, but Kimberly demonstrates how she's simplified it so that anyone can do it! If you love our Hello, Bear Birchen Quilt version, we also have quilt kits available at our shop! 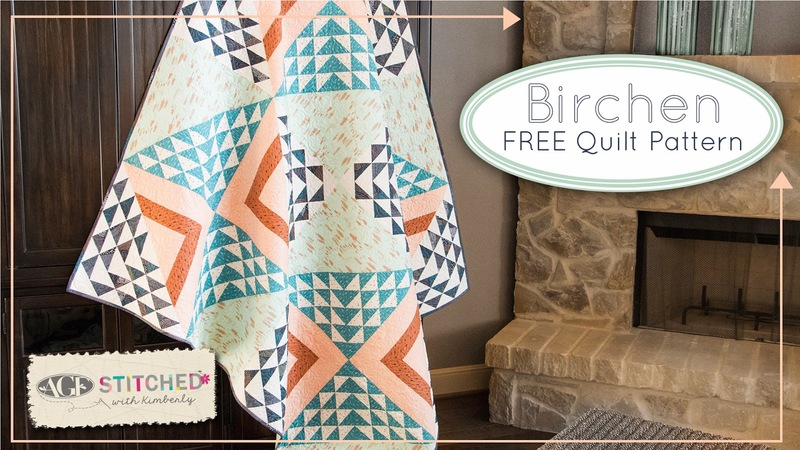 And, we invited a few of our bloggers and Art Gallery Designers to sew their own versions of the Birchen Quilt using beautiful Art Gallery Fabrics. Go hang out on their blogs for a while and leave them some quilty love! 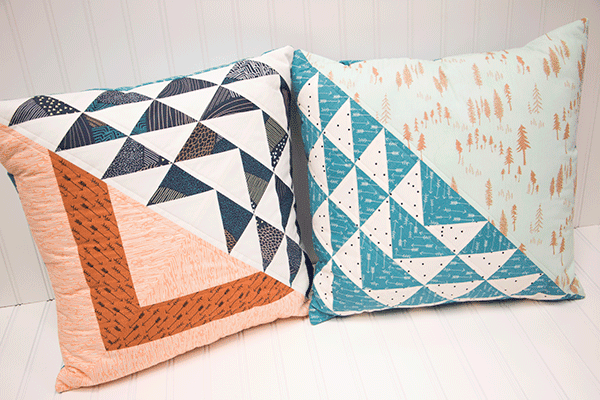 If you're not ready to tackle the whole Birchen quilt, why not make a couple of pillows instead! SURPRISE! 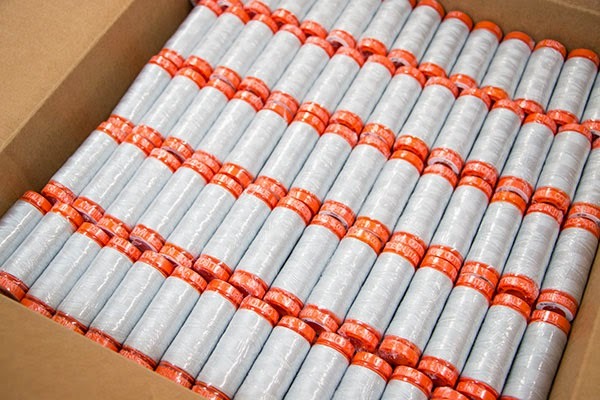 Aurifil was so generous to give us 100 Aurifil #2600 mini spools to give away. Ten lucky winners will receive ten mini Aurifil spools! To enter our giveaway, all you have to do is enter our giveaway through Rafflecopter below! Share with us your #AGFStitched creations on Facebook, Twitter, or Instagram! Thank you so much and happy quilting!